Products in Development. Currently in Human Clinical Trials. Lynch Biologics is developing bio-active recombinant protein-device combination products for the healing of musculoskeletal injuries and disease, including Diabetic Foot Ulcers (DFU’s), Post Amputation Wounds, Venous Stasis Ulcers, Pressure Ulcers, and Large Acute or Surgical Wounds. Lynch Biologics is actively developing ABSOLVE®, a combination of our highly purified recombinant human platelet-derived growth factor BB homodimer (rhPDGF-BB) combined with a biocompatible, resorbable wound dressing that provides a matrix for new cell and tissue for the treatment of diabetic foot ulcers (DFU’s) and other chronic wounds. rhPDGF-BB is a synthetic copy of natural rhPDGF-BB that is a key initiator of the natural wound healing cascade. 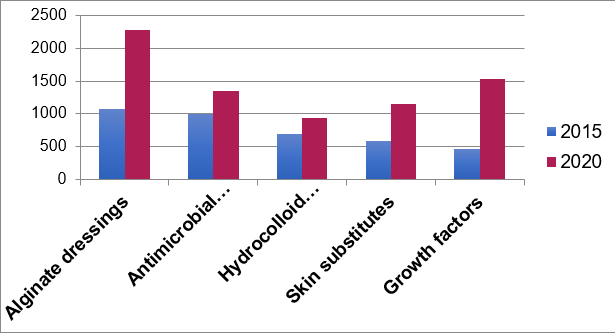 The collagen matrix not only provides a matrix for cell ingrowth, but it also absorbs proteases in chronic wound fluid that are detrimental to wound healing. rhPDGF-BB is more effective during the early phases of wound healing, causing an immediate influx of wound healing cells and new blood vessels that lead to more rapid healing. Multiple patent applications have been filed covering this technology. The invention provides methods and compositions for treating or promoting the healing of a wound, such as lower extremity ulcers in a diabetic patient, venous stasis ulcers, pressure ulcers, severe burns and large surgical wounds such as abdominoplasties and other types of surgical tissue flaps. invention covers improved formulations of rhPDGF-BB that include 1) a carrier that facilitates maintaining an effective rhPDGF-BB dosage at a wound site; 2) simultaneously provide a substrate for cell and vascular ingrowth; 3) is sterile and therefore safer; 4) facilitates better patient compliance because it does not have to be refrigerated and is only applied about once every other week; 5) has rhPDGF-BB present at a higher concentration than prior art formulations; and 6) contains a more potent rhPDGF-BB formulation with fewer isoforms than prior art formulations. Diabetic foot ulcers (DFUs) are poorly healing (chronic) wounds found most commonly on the planter surface of the foot, and are among the most common and serious complications resulting from diabetes. The development of DFUs can result from peripheral neuropathy and/or blood vessel disease, but the most common cause is peripheral neuropathy complicated by deformity, callus, and trauma. Up to 25% of diabetics can expect to develop a foot ulcer at some point in their lifetime. More than half of all foot ulcers will become infected requiring costly hospitalization and 1 in 5 will require amputation. 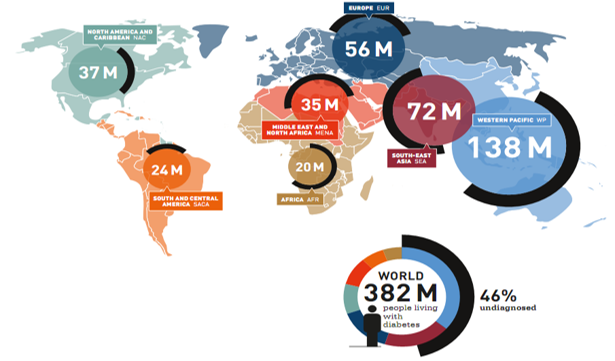 It is estimated that every 20 seconds, somewhere in the world, a limb is lost as a consequence of diabetes. Moreover, 85% of leg amputations are preceded by DFUs and more than 60% of non-traumatic lower extremity amputations (LEA) performed in the United States each year occurs secondary to complications of diabetes mellitus. After a major amputation, 50% of patients will have another limb amputated within two years. Mortality rates subsequent to amputation are alarmingly high… up to 40% at 1 year and 80% at 5 years. Patients with a history of a diabetic foot ulcer have a 40% greater mortality rate compared to patients with diabetes alone. These alarming statistics demonstrate the compelling need for new therapies to treat DFUs. rhPDGF-BB is the active component of four FDA approved therapeutics – Regranex® Gel, GEM 21S®, AUGMENT® Bone Graft and AUGMENT® Injectable Bone Graft. Our expertise in developing GEM 21S and the AUGMENT family of products provides a unique skill set to navigate the ABSOLVE® regulatory pathway worldwide. For more information about this emerging technology, or for questions regarding our revolutionary products, reach out today.